Lencrow Group introduces a new line of fork stackers to their Easy Range materials handling equipment. Easylift fork stackers are 1000kg stackers with AC operation, offering superior driving control with safety features such as anti-rollback as standard. Easylift fork stackers can be adapted to diverse workplace environments with their fully adjustable straddle legs. Easylift fork stackers also incorporate a full 255AH traction battery that will withstand extended work shifts without a drop in performance. Designed for durability and long-term performance, the Easylift fork stackers feature a full roller mast and solid steel chassis. The fully adjustable forks are ITA standard allowing length and width options for the customer off the shelf. 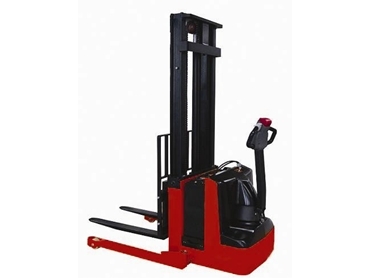 The stackers comply with Australian Standards and do not require the operators to be licensed.